AS ANYONE who has attended the Late Night KARLnivals at the Vodafone Comedy Carnival Galway can attest, Karl Spain is without doubt, the finest, funniest, and most irreverent MC in the business - and you can see him thrice on upcoming Tuesdays. Karl Spain will MC a number of comedy night shows at the Róisín Dubh's upstairs bar, taking place over the coming Tuesdays, featuring leading names in Irish comedy. The trilogy begins tomorrow [February 20] with the ever popular Fred Cooke headlining. 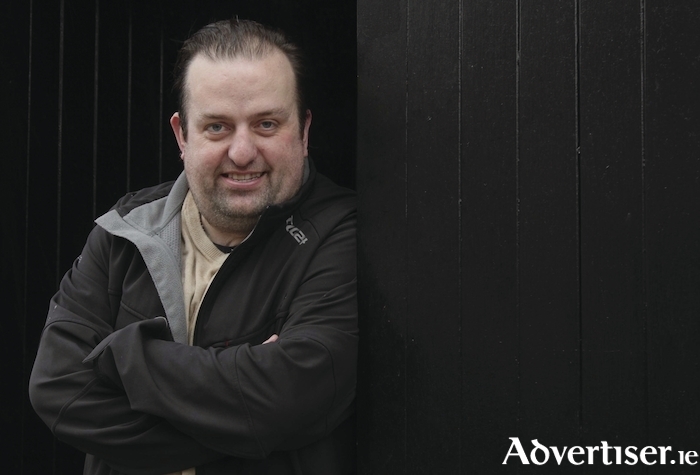 Fred is best known for his roles in Republic Of Telly and The Savage Eye, and for being the MC on The Tommy Tiernan Show. Indeed Tommy said of him: "I love Fred, he has the real spirit of the clown in him." Support is from Keith Fox. Colum McDonnell, a hero of the Irish underground comedy scene, who has appeared on RTÉ's Bridget and Eamonn and Irish Pictorial Weekly, plays on February 27. He is a regular on the Irish and British comedy circuits, with his unusual and often self-deprecating outlook on family, life, love, and the pain of being the last-living hobbit in Ireland. He has also appeared on Comedy Central's The World Stands Up. Support is from Martin Angolo. The trilogy concludes on March 6 with Edwin Sammon, best known as Father Gabriel on Bridget and Eamon. He was a finalist on RTÉ’s New Comedy Awards; has performed at the Edinburgh Fringe, Electric Picnic, and the Vodafone Comedy Festival Dublin. He has also been part of the Lads Of Comedy collective; and appeared on Republic of Telly. Chortle.co.uk has praised his "conviction and likeability" and his style of “taking familiar starting points and spinning them out into fantastical extremes”. Support is from Ger Staunton. Doors are at 9pm. Tickets are €5 (on the door and www.roisindubh.net ) and includes free admission to the Silent Disco afterwards.